Is there any paperwork or document for the mechanical systems of 12 Kennedy St W, Aurora, Ontario? I need more information about the property at 12 Kennedy St W, Aurora, Ontario. How ist the neighborhood, location and nearby amenities for 12 Kennedy St W, Aurora, Ontario? I have questions about the roof, foundation, insulations and mechanical issues of 12 Kennedy St W, Aurora, Ontario? I need more information about property details. What's wrong with this house? Is this a short sale? Is there any maintenance for 12 Kennedy St W, Aurora, Ontario? What is this property worth in today's market? What are "closing costs", and how much? What steps should I take when looking for a home loan? What price home can I afford? Is my credit good enough to buy this house? What are the best mortgage options for me? How flexible is the seller on the asking price? 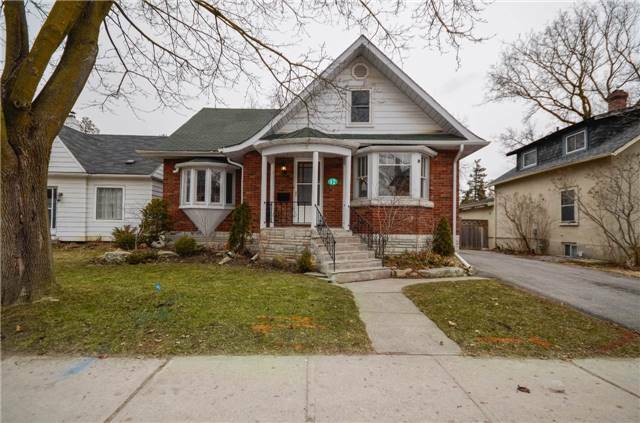 How low can I consider offering for 12 Kennedy St W, Aurora, Ontario? Location! Location! Take A Walk Back Into History With This Beautifully Maintained Heritage Home Boasting Original Characteristics! Located In The Heart Of Aurora Village Attractive To Commuters With Access To Go Train & All Major Transportation & Hwys! You Will Be Awed By The Original Doors & Floors! Great Spacious Rooms, Renovated Kitchen With Granite Counters Without Removing The Charisma! Updated Bathrooms, Gorgeous Original Baseboards Thruout!